Our modern school has aesthetically pleasing buildings with well-equipped classrooms. This environment fosters enjoyable teaching and learning where students, teachers, parents and the community contribute to the realisation of the school's mission that learning is an enjoyable lifelong learning process. The core values of Nuwarra Public School are an acceptance of difference and a movement from tolerance to understanding. This is accomplished within a safe, nurturing environment emphasising the importance of respect, cooperation and the recognition of every student's right to equitable access of the curriculum. Our school has a diverse population comprising of students from many cultural and socio-economic backgrounds. Nuwarra also has classes for students with hearing impairment and language disorders. We aim to provide opportunities for all students to reach their full potential academically, socially, physically and emotionally. Nuwarra offers a balanced approach to school life. We value participation while striving for excellence. Our school has a strong tradition of good sportsmanship and success in the sporting arena, offering students opportunities in school sport, PSSA, carnivals and gala days. Experiences in the performing arts are provided through school performances, concerts and extra curricular activities such as choir, dance and music. As life long learners, staff and students actively embrace the integration of technology across the curriculum. Nuwarra - Living and Learning. 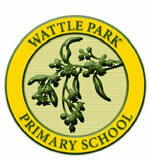 Wattle Park Primary School was first established in 1914. It has a current enrolment of 382 students, who come from various ethnic and socio-economic backgrounds. The school site is approximately 3.4 hectares and is situated within a large green belt in the middle of Melbourne’s eastern suburbs. Wattle Park provides a happy and secure environment in which students are able to value and enjoy learning. The curriculum is designed to cater for individual needs. Achieving mastery of the curriculum, particularly in English and Mathematics. Developing intellectual, personal, social, physical and creative abilities. Learning to work effectively, as individuals and as members of a team. Acquiring decision making, problem solving and critical thinking skills. being physically and mentally healthy. Our priority is to enhance self-discipline and to recognise and acknowledge positive attitudes and behaviours. We seek to promote an environment which maximises the opportunities for all students to strive for excellence, in both an academic and social sense. Belmont HS is a proud and strong comprehensive high school situated on the shores of Lake Macquarie and the Pacific Ocean south of Newcastle. We draw from across a diverse community with students ranging from high academic achievers to students with disabilities and special needs. Our school achieves high academic standards within a broad and rich curriculum. We emphasise positive values based around personal success, respect, responsibility and team work. Our school is recognised for its high standards of behaviour and school uniform. Our school is committed to developing confident and competent students, with a strong focus on core skills of literacy and numeracy. Each year we closely analyse data and develop programs and specific strategies to improve student achievement. This is enhanced by our strong links with partner primary schools in the Belmont Learning Community, where we work share strategies and expertise to support students for K - 12. Brisbane. Our school is a comprehensive public school offering a diverse curriculum for students from Years 8-12. Our aim is to provide all our students with a wide range of positive, safe and worthwhile oppurtunites to assist them to become independent, responsible, well adjusted and resourceful youg men and women well prepared for the worlds of work and further education. Our school community of students, staff, parents and citizens each have a role to play in providing an environment that promotes the academic, social, vocational and personal development of all students. As a school community, we take care to nurture and assist students to grow as individuals and strive for excellence that encompasses academic, cultural and sporting achievements. Quality teaching is our priority and a large team of committed and very experienced teaching and non-teaching staff work conscientiously to assist our students to maximise their learning. Canterbury Primary School is a large primary school with three or four classes at each year level. A team of specialist teachers offers programs in Italian, Visual Art, Music, Physical Education, Library and Reading Recovery. Additional small group learning support is available for students in the areas of English, Mathematics and Personal Learning. The school’s computer network provides laptop computers to all classrooms and specialist areas enabling students and staff to efficiently access and utilise information. Interactive whiteboards are being installed progressively across the school. The school is committed to catering for the needs, abilities and interests of students in a secure and caring environment and considers that all students have the capacity to learn and grow in self-confidence and self-esteem. Canterbury Primary School has an enviable reputation in its community, based on the strength of its outstanding academic record and the positive word of mouth promoted by parents, staff, students and the wider community. The school aims to continue to provide an outstanding learning experience for all students, one which prepares them for a life of continued learning. 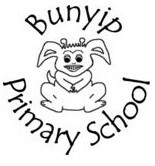 Bunyip Primary School, established in 1880 is located in West Gippsland, 80 kilometres south east of Melbourne. It draws its students from the small local township, and surrounding farming area. The student population at the school is 206. Our primary concern is to provide the best possible learning environment for all students and enhance their qualities, attitudes and skills which will enable them to adapt to change and have a positive outlook on life. The school provides a quality, sequential seven year program in all Learning Areas which is delivered in both composite and straight grades, supported by specialist teaching for Library, Computers, Physical Education, Art/Craft, Music and Literacy Support, and makes great use of appropriately trained parents in program delivery. Our school provides a stimulating, caring, relevant and safe learning environment, which respects the rights of individuals through a partnership with the wider community, students and staff. The school delivers a broad, relevant and balanced education which enables students to achieve a level of excellence according to their individual skills and abilities so that they function as effective members of the immediate and global community. Our Reception to year 7 areas of study are: English, Maths, The Arts (Music, Drama, Media, Dance and Visual Arts) Society and the Environment, Health and Physical Education, Science and Technology. Special Education, Speech Pathology and Behavioural Support Team Services are accessed through referrals made by class teachers in consultation with parents. Taylors Hill Primary School is a new primary school that has opened at the beginning of the 2010 year. The school is located on the corner of Loddon Drive and Park Lane Taylors Hill (Melways Map 13, B5) which is in the rapidly expanding growth area of East Melton. Taylors Hill Primary School was constructed under a Public-Private Partnership (PPP) agreement and is a state of the art educational facility with modern open planned spaces to facilitate learning practices to maximise the learning outcomes for every student. The school is expected to grow rapidly over the coming years. The planning and long term student enrolment number is expected to peak at approximately 750 students and then settle down to approximately 500 students. Staff at Taylors Hill PS work closely with school council to establish innovative programs and policies to ensure excellent student learning is achieved across the school. The key components of the teaching programs at Taylors Hill Primary School is the effective teaching of literacy and numeracy within a supportive learning environment. Such an environment is challenging and focussed on the personalised learning of every student attending the school. The building design at Taylors Hill PS promotes active, student-centred learning for all students through the creation of flexible, functional spaces that support contemporary learning and teaching practices. The design of the school supports the physical and emotional health and well-being of students and promotes positive social interaction between, all students and staff. The facilities exhibit characteristics of high quality design that will promote delight, inspiration and belonging among students and the broader school community. Burnside State High School currently has approximately 440 students in years 8 to 12. Our school services the surrounding areas of Burnside, Perwillowen, Nambour, North Arm, Yandina, Coolum, Bli Bli, Coes Creek, Mapleton and Woombye. who visits 2 days per week, a school chaplain and a school nurse. 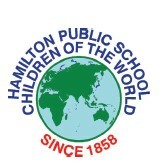 Hamilton Public School offers students a caring, nurturing learning environment. Our dedicated and experienced teachers provide a positive and enriching program, appreciating the individual needs and interests of each child. 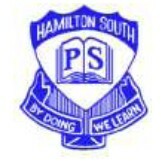 Hamilton Public School today is a happy, vibrant community. Our students come from a diverse range of backgrounds, making Hamilton Public School one of the most multicultural schools in the Hunter region. Bellingen High School is a NSW Government school attracting students from the surrounding valleys and seaside towns where tourism, dairy and small agricultural farming are the backbone of the local economy. The area's cultural diversity is well known and is reflected in a wide range of teaching programs. We're proud of Bellingen High School for lots of reasons. It has a dedicated teaching staff, modern buildings and equipment, a proven student record of achievement with strong sporting and academic traditions and one of the most beautiful settings in the state. We welcome new students to the school and endeavour to assist them to achieve their academic, sporting, social and cultural potential here. While the opportunities to gain useful experiences and knowledge are open and all available help extended, what students achieve is largely determined by what they do. Lowood State High School is committed to providing a high quality education which gives each student the opportunity to achieve to the best of their ability. Lowood State High School is a excellent school with a fine reputation. This reputation has been forged by the dedication, enthusiasm and talents of our staff and students. 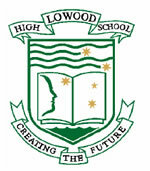 Lowood SHS is a medium-sized high school (est. 1983) catering for Years 8 - 12. 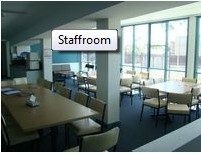 We have excellent teaching areas, well-established computer facilities and pleasant school surrounds. 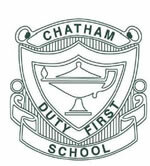 At Chatham, we pride ourselves on having a friendly and supportive learning environment that has a strong focus on high quality teaching and learning, the fostering of positive relationships within the school community and on student well-being. As a school community, we are proud of our fine achievements and traditions in student learning across all curriculum areas, especially in the areas of literacy and numeracy. We offer diverse and dynamic programs that target the individual needs of children, ensuring that each child attains their full potential. The current specialist programs that we offer are Physical Education, Music, Art, Library and our Language other than English (LOTE) is Japanese. We also offer a number of extension programs and assistance for students at risk. Plympton Primary School is the oldest school in the western suburbs still on its original site. We are a Reception to Year 7 school in a unique park-like setting created by two road closures. Our enrolments fluctuate between 250 and 300 students. Classes are mainly composite and all classrooms are fully air-conditioned. The Principal is Tom O'Callaghan. A fortnightly newsletter is issued to keep our school community informed. A student run assembly is held every fortnight. A dress code is in place, including a sun smart policy. Uniform items are available at the school office. 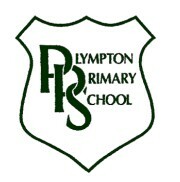 The school colours are dark green & black & white. There is a networked computer room and a computer-to-student ratio of 1:6. The Library Resource Centre includes a 16-computer research pod. Vacation, Before and After school care is available. A canteen service offers a good variety of lunches, as well as drinks, ice-blocks and treats each lunchtime. A swimming pool is on site for general PE & learn to swim lessons. A secure and sheltered shed is provided for students' bicycles. Essendon North Primary School is a Prep to Year 6 co-educational learning community. At the very heart of our purpose is to provide the best possible education for every child in every classroom. Our school offers a broad curriculum and extensive extra-curricular program within an engaging and challenging learning environment. We place a high priority on delivering high quality teaching instruction in literacy and numeracy, and student learning outcomes. Our values based approach ensures students from diverse backgrounds are united under a consistent and equitable umbrella that values all stakeholders yet provides a common connection of learning and diversity. Our entire community is actively involved in the life of the school, and shares a commitment to its future development and growth for our children and young people. Bellbird Pubic School aims to provide a happy, challenging environment conducive to effective learning in which all can fully develop and go forward with confidence. Our school: Presents a balanced curriculum approach; is caring and supportive of students' needs; develops self esteem in all personnel; strives to improve its effectiveness; involves parents in meaningful ways; and allocates resources to current priorities, and to student learning outcomes so that the values and vision of the organisation are kept to the forefront of planning and practice.